It all started when I initially registered myself to vote in the 2014 legislative elections in New York City. I live in Denver, so I figured it is the best office to vote in since I can usually find pretty cheap air tickets to the Big Apple. Besides, I have a few friends there I could always say hello to – never mind that it is close to 1,800 miles away from where I live. Thing is, it was still too expensive to travel. The electoral commission offered all residents living and voting abroad the option to change their voting locations. The process was simple enough: send in a copy of your passport, a confirmation of your initial registration, and fill out a PDF form that the ISIE provides. Send it in to your regional representatives, and they will send them back to Tunisia for the ISIE to review. Still with me? Alright. Since I would be visiting The Hague, Netherlands, during the presidential elections (21-23 November), I decided to change my voting location to that office. I sent in all required documentations. Mind you – all North and South American cities and ‘rest of Europe’ voting locations are part of the same voting district. Districts for Tunisians living abroad are as follows: France 1, France 2, Germany, Italy, Arab world countries, and Americas and rest of Europe. In theory, since you are still within the same district, you should be able to vote in any voting location within it, correct? No. Not according to the electoral authority. For the legislative elections, the ISIE made everyone re-register in order to vote, and if you chose New York (or Houston, or Vienna, or whichever city in the same district): you best believe that that is where you will vote. It is like telling someone: hey sorry, I know you’re still within X county, but you must go to that school (miles away) in order to vote. Moving on. I submitted all of my documentation to the regional office, and they courteously responded to me confirming that my folder had all the required paperwork and that it was complete. They would then send it to the main authority in Tunis, and wait to hear back. Tonight, the ISIE released the names of those ‘selected’ to vote. My name was not on there – and neither were the names of many, many others in my district who had requested the change. In the Montreal office, only 3 people were accommodated. THREE. We were not given any reason or justification as to why we were not selected. To say I feel furious is really an understatement. I am a full Tunisian citizen who has yet to vote even once because of (you guessed it) incompetence coming from the electoral authority. I was so excited to finally be voting for the first time, to be exercising the most fundamental of my rights. But the ISIE decided that it could arbitrarily choose who can vote and who cannot. It decided that it has the power to rob citizens of their rights. The parliamentary elections were bad enough – extreme disorganization in the offices abroad reigned supreme. Now, the presidential elections will be even worse. The saddest part is that I have not felt this angry at my country since the times of Ben Ali. Those were the times I felt like my country was constantly rejecting me, making me a second-class citizen every time I tried to open my mouth about this or that, or tried to exercise very basic rights and duties. Today, I feel the very same way. I feel injustice, and I feel robbed. I call on the judicial authorities in Tunisia to initiate an investigation and find answers to the following question: under what basis were Tunisian citizens forfeited their right to vote? Why were the location change requests denied? And under what basis? According to the Arab-American Institute, there are now nearly 3.5 million Arab-Americans in the United States – up from a total of 1.5 million in 2000, and around 1 per cent of the US population. A whopping 94 per cent reside in metropolitan areas of major cities, while 48 per cent reside in California, Michigan, New York, New Jersey and Florida. The Arab vote has largely gone unnoticed in US elections due to its heavy concentration in mostly Democratic cities and due to their tendency to lean democrat. However, this has not always been the case. For example in 1996, exit polls reported 54 per cent of Arab-Americans voting for Bill Clinton, 38 per cent for Bob Dole and 7.7 per cent for independent candidate H. Ross Perot. Since the 1996 elections though, Arab-Americans have become more prominent and homogeneous of a voting block. In a close election such as this year’s, Arab-Americans may just tip the balance – especially in contentious states like Virginia and Michigan, and of course Ohio. According to Zogby, there are 135,000 and 185,000 Arab-Americans in Virginia and Ohio alone, respectively. Maximizing Arab-American turn-out becomes increasingly important, particularly for Democrats working on critical swing states. The think-tank TUNESS conducted a survey between October 20 and October 26 examining the opinion of the Arab community in the US towards the 2012 elections. The survey included 222 respondents from 26 states, and representing 15 Arab countries. The sample was evenly divided amongst US citizens and those who are not eligible to vote (permanent residents or on visa). 75 per cent of sample’s respondents were of North African descent, and 70 per cent resided in the North East. Weights were applied to map back to the distribution of Arab-Americans by state, as per the 2009 American Community Survey by the Census Bureau. 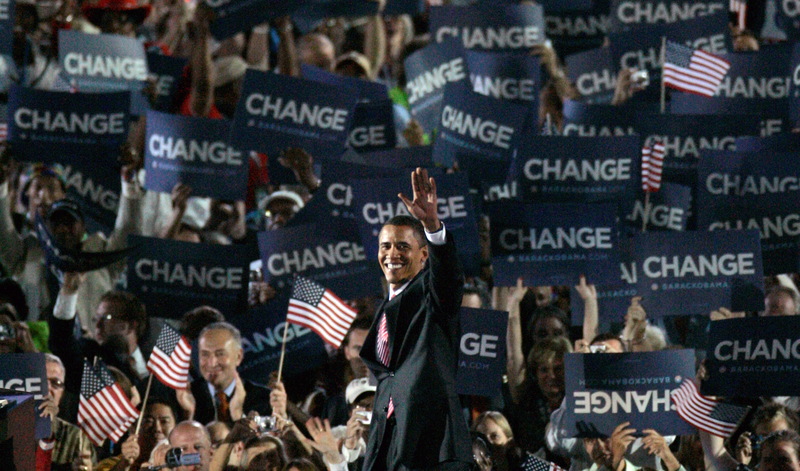 The survey revealed overwhelming support for Democratic candidate Barack Obama, with 84 per cent saying they would vote for him, and only 5 per cent voting for Republican candidate Mitt Romney. The remaining 11 per cent is undecided or would vote for another party. Similar to other voting groups, the majority of women intend to vote for Obama (87 per cent women said they would vote for him, as opposed to 82 per cent of men). Demographic divides also echo the views of the rest of the population. Respondents over the age of forty are less likely to vote or choose Obama (82 per cent vs. 87 per cent). Responders who are eligible to vote show lower support for Obama (90 per cent vs 79 per cent), while there is a larger proportion of undecided voters amongst responders who do not follow the elections closely. We observe similar trends when we look at the favorability of the candidates. Why Do Arabs Like Obama? The key factors influencing Arab-American voters are, in descending order of importance, foreign policy (24 per cent), the economy (19 per cent), and political program (16 per cent). Surprisingly, only 6 per cent listed the candidate’s likability or affiliation with a political party as key factors in choosing a candidate. 61 per cent of respondents rated Obama’s performance as either “good” or “excellent” during his presidency. Obama received the best marks on health care (73 per cent) and education. However, Obama scored low amongst the Arab-American population in regards to Middle East policies, US national debt and immigration. More importantly, only 43 per cent of respondents viewed Obama’s performance on the economy – a key issue in the elections – as good or excellent. Respondents were also asked which candidate would be more likely to bring a solution to the Palestinian-Israeli conflict. About 45 per cent of the sample said that neither candidate is likely to succeed and another 38 per cent said that Obama is more likely to succeed. An Obama presidency is also considered to be a better for the Arab world for the majority of the sample (72 per cent, as opposed to Mitt Romney, receiving only 2 per cent). A significant 17 per cent of the sample feels that neither presidency would be good for the Arab-World. The Arab community believes that Obama’s strengths lie in healthcare and education, while his handling of the Arab Spring, the economy, immigration, and the US national debt are highly criticized. Yet, 82 per cent intend to or would vote for him, and his favorability rating exceeds 80 per cent. As such, despite a mixed bag review with respect to his performance in the office and his handling of the Arab revolutions, Obama enjoys the overwhelming support of the Arab population residing in the United States. This seems tied to the antagonism between the Arabs in the US and the republican party which kept growing since 9/11. A recent survey by the American Arab Institute revealed that 57 per cent of republicans had unfavorable views about Arabs. Obama and the Democratic Party seem thus to dominate this electoral segment without really having worked hard for it as the Republican party seem to have ceded totally ceded the ‘Arab’ and ‘the muslim’ vote. It would seem a rather risky bet especially in an election that will be decided on the margins. Results for this TUNESS poll were collected on-line and through live in-person interviews conducted Oct. 20-26, 2012, with a random sample of 220 registered voters, aged 18 and older, living in the United States. For results based on the total sample of Individual of Arab descent, one can say with 95% confidence that the maximum margin of sampling error is ± 6.58% percentage points. Ever since the attacks against the US Embassy and American school in Tunis, the world’s attention has been refocused on Tunisia. I have been holding my breath – and biting my tongue – since the events took place. I have read plenty of analyses about the situation in the meantime. Some blame the attacks on the spread of hate filled ideologies. Others blame it on armchair theories that begin with neo– or end with –ism. Others point the finger at the Islamist ruling party, Ennahda, and some others blame it on the governments general failure in instituting a genuine sense of security. However, there could not be a simpler explanation for what happened last week. 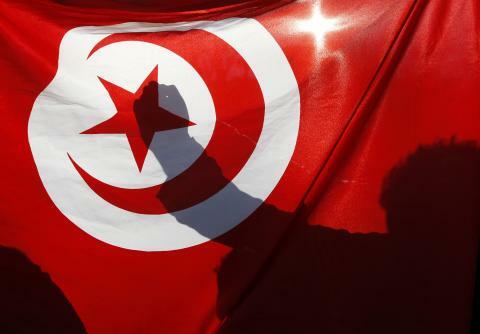 While the country set off global alarm bells, it is Tunisia’s internal sociopolitical landscape that points to only one thing: the country is recovering – not from zero but from subzero. It is recovering, not from nothingness, but from the complete and utter chaos that comes with the territory of going through a revolution. And it is recovering against enormous odds. There exist two angles from which to analyze the embassy protests in Tunisia. The first is an institutional angle: what have governmental institutions been doing to secure a better future for the country? The second angle is a developmental one: how do young teenagers get sucked into joining movements that breed hate and intolerance? Who are these teenagers and what can the neighborhoods they hail from tell us about them? Have terrorist networks (such as Al-Qaeda in the Islamic Maghreb, aka AQIM) begun opening operative cells in the country? Will a movement gain ground? The Ministry of the Interior, which is the premier and sole entity responsible for the country’s general security, has not been maintaining any sense of order. It has failed to perform its prescribed duties and adequately supply security forces with the materials needed for them to do their job. It has also failed to reform the ministry from within: it is no secret that the ministry is ridden with corrupt vestigial remains of the former regime. 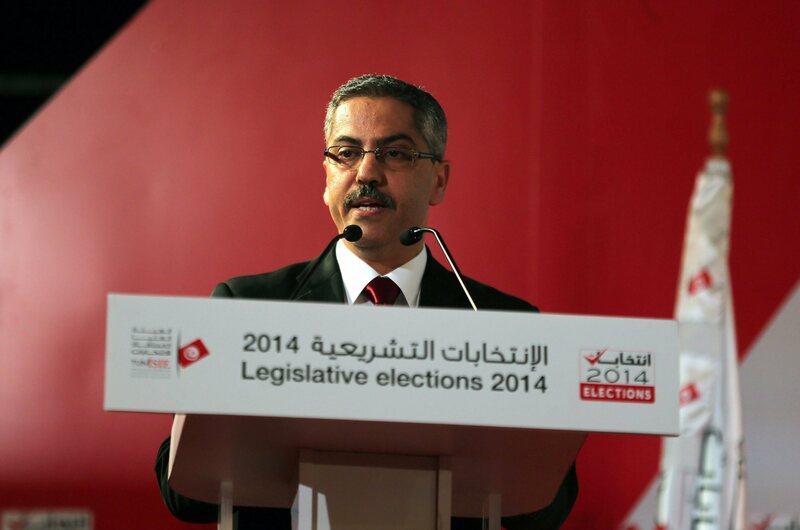 Yesterday, September 19, the Minister of the Interior, Ali Laarayedh, spoke before the Constituent Assembly. Laarayedh claimed that there are “organized militias” who are behind the attacks. Laarayedh has presented this excuse several times in the past in explaining similarly chaotic incidents. Yet the Tunisian people has yet to receive any answers in regards to these allegations. Under whose orders are these militias supposedly working, and with whose funding? The ministry has not specified a timetable, has not presented any viable agenda, and has not engaged in any organized efforts to “cleanse” the ministry from within. It is also the fault of the Ministry of Religious Affairs: who are these imams and what are they preaching in these mosques? Do they have the proper education and expertise in Islamic jurisprudence before they begin to give their sermons every Friday? Before they speak to a youth that is (justly so) thirsty for meaning? Developmentally, we need to recall what breeds terrorism. History tells us that what typically leads to terrorist acts is socioeconomic desperation. Empirical data through examples from all over the world point to one thing: it is macroeconomic failures that translate into the starvation of a people. Tunisia’s fat unemployment rate and its contribution to the ever widening gap between the rich and poor cannot be ignored. Whereas Tunisia used to have a relatively large middle-class, today, that middle socio-economic bracket is narrowing. Desperation also stems from the lack of proper education. In Tunisia’s case, the Ministry of Education’s has proven unable to solve the nation’s archaic, deteriorating schooling system by executing reforms from within. It’s that prototypical 19-year-old boy who wakes up in the morning with nothing to do. He has no job and his classes seem absolutely pointless to him in the hopes of attaining employment. It is the young adult who feels that he simply has no agency over his very own life. It is that young man who is deftly recruited by gangs and terrorist networks. What happened in Tunisia last week is a developmental issue that makes perfect chronological sense: following the euphoria of ousting a dictator, Tunisian society is now feeling the birth pangs of democracy. Certainly what is most striking about the past week, however, are all the analyses gracing the Internet – particularly those written by authors hailing from the United States and Canada, where there is little understanding of North African politics due to an unfortunate language barrier. Due to the region’s colonial history, most of the current research published on North Africa is in French. Contrastingly on Tunisian TV, prime time political shows discuss the happenings through a highly political, highly domestic lens. The discussions center around deadlines, such the Constitution’s completion and ratification and the next elections. Show participants – politicians and members of civil society – are very much attempting to articulate a viable national identity. There is a much larger emphasis on the role of religion in government and society, freedom of expression, and institution-building. This is because the country’s political landscape inherently encompasses issues that are much more complex and far-reaching than an attack on an embassy. Unfortunately, by reading the international headlines, global readers would never know that Tunisia is undergoing a process of rebirth – which nobody said was easy. *The phrase used on NEWSWEEK’s Monday 17 September 2012 front page. Article originally posted on Nawaat. From dancing a night away… To pillaging and burning. Sometimes, issues hit closer to the heart not when you identify with a nationality, know a neighborhood, or speak a language. None of those abstract ideas that we go through pains to describe properly. Sometimes, things hit closer to the heart because of sheer silliness. Acts of sheer abandon that remain stuck in your memory forever. The acts of simply sharing good moments with good people – those are the acts leave an echo in your heart. Seeing pictures of the “Marine House,” in the US Embassy in Tunis, burned and pillaged, afforded me this closer experience. It was only months ago that I attended a party in that very same building, and played pool on that very same table, which has been turned upside down in the video below (@ min 5:00). It was on that very same terrace (@ min 5:36) that we enjoyed a nice burger with Heinz ketchup and classic yellow mustard (the things you pine for as an expat…). The same one that we merrily sang along to the Black Eyed Peas’ “Tonight’s gonna be a good night.” Carefree. To see photos of that same area burned, pillaged, and looted somehow made it all the more real for me. I still have the phone number of the guard who helped my friends and I find a cab after the party – his watch area was burned down. That Tunisian employee, who had a family to feed, probably lost his job. This is more of a personal entry, yes – and I want to so badly write out my more analytical thoughts about what’s happening. Perhaps I will tomorrow. But Tunisia is not well. Not well at all. That’s all I will say for now.